Bill has data going back five years now, and that gives us a pretty decent sense of what's been happening in the market. (Although Bill's numbers are based on Portland prices, the trends should be interesting to everyone in the country.) If you look at the long-term trend, prices tend to bounce around. Surprisingly, they go down as well as up. If you look at the results from any single quarter and try to extrapolate out, doom is liable to follow. You can also make mistakes if you compare trendlines between any two categories over a short period (bombers down 9 cents, sixers up 12 cents--the bomber market is collapsing!). Nevertheless, I am prepared to stride boldly toward the doom and ask a question: are we approaching a bomber bubble? Several factors are at play here. For one, bombers are a fantastic deal for breweries. They retail, on average, for 25.2 cents an ounce; six-packs fetch just 13.4 cents. Or to use Bill's other fantastic innovation, the equivalent six-pack cost for a $5.54 bomber is $18.13. So long as people are buying bombers, breweries are happy to earn nearly twice the value on a barrel of beer. But equally important, bombers allow a lot more participants to enter the grocery-store market. A great many of the Portland-area brewpubs use mobile bottling for 22 ounce bottles, and some grocery stores have divided their beer aisles nearly in thirds, with equal portions devoted to mass-market beer, craft sixers, and 22s. Breweries make more money, and consumers have greater variety with this surfeit of bombers. But therein lies my worry. Psychologically, a big bottle that retails for nearly half the cost of six small bottles sort of seems like a decent deal. It also facilitates sampling from more local breweries. But there is a ceiling here. Who among us hasn't taken a few bombers to the cash register, only to discover we're dropping $25 on three or four bottles? (And then sigh disappointedly when we find they contain fairly average beer later that evening.) At what price does the bubble burst? $5.75, $6, $6.50? I am not quite so foolish as to wander into the doom of that prediction, but I can say confidently that there is a price. And the faster the price rises, the quicker the bubble will burst. I'll keep watching Bill's PBPI--when the price of an average bomber drops thirty cents, that'll be a sign the bubble is bursting. "Draft to go, bombers for show, 6-packs to grow"
Bomber prices are what they are because beer consumers either haven't noticed or aren't bothered by what a bad value they are. Same goes for growlers. Getting 64 ounces of beer for $12 is also a really bad deal. Yet growler fill joints continue to open all over the place. Festival pricing is another gem, with base prices that are the equivalent of $24 for a six-pack. And let's not talk about double and triple token beers. At some point, this is all going to flip...or burst, if you prefer. We just don't know when. Agree on all points Pete with the exception of growlers. While true, getting a growler fill of a beer you can buy in a bottle is odd, there are plenty of times you are getting a fill of a draft only beer. That's when growlers are worth it. I've seen growlers be a better deal per ounce than the bottled price, too. Like with anything just have to do a little research. A little while back a place had growler fills of Goose Island Gillian and Great Divide Chocolate Yeti where the 32oz growler price was cheaper than the bottle price (25.9oz for the Gillian, 22oz for the Yeti). I would also argue that 12oz bottles/cans better facilitate trying more (as opposed to the comparison above of a six pack to a single 22), since the majority of sellers (at least in Oregon not named Zupan's) allow you to buy just one if you like. As a consumer, there's a big difference to me between growlers and bombers. I haven't really done the supermarket growler thing, but when I buy a growler from a brewery, I'm getting brewery-fresh beer that I already know. I have a friend in St Johns, and I like to hit Occidental on the way over there. A growler contains four pints of beer--$3 each at twelve bucks. It's like relatively inexpensive carry-out pints. Bombers, on the other hand, are a pig in a poke--the beer may be stale or uninspired, and I have to invest five and a half bucks to find out. I guess I should say, compared to what? Bombers are categorically different than growlers. Bombers, cans, and sixers I place in one group, brewery-fresh beer (pints and growlers) I place in a different group. I'm assuming he meant growlers filled at places other than breweries so it's just a random keg that you know nothing about as far as age and storage conditions. Kevin, I'm not dismissing anyone and did mention in the post that I buy bombers (many times to my own chagrin) myself. But unless they're specialty bombers, like Upright or the Commons, I don't spend more than $5 on them. 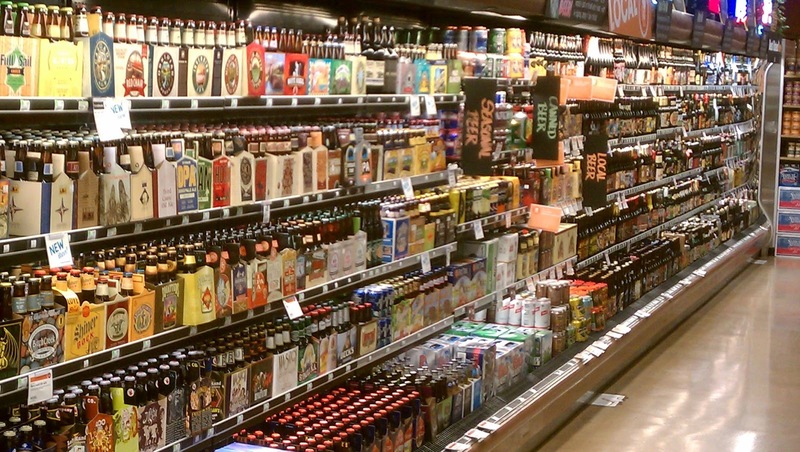 No other liquid I can think of is more expensive in bigger bottles: water, wine, milk, soda pop, soap, olive oil, perfume, propane... Why is beer different? Water and pop are sold in both big bottles and six-packs -- the six-packs are always more expensive per ounce. Keep in mind that more expensive beers such as barrel aged imperial stouts and sours are usually packaged in larger 22 ounce formats. The larger format lends itself to better cellaring, as there is less beer in contact with oxygen. This accounts for some, but not all, of the pricing disparity. Anon, when Bill measures these things, he takes that into account. The $5.50 price is for standard bombers.